It's easy to feel somewhat dwarfed and insignificant when you look at Waimea Canyon. At ten miles long, one mile wide and more than 3600 feet deep it is dramatic and, unfortunately, our photographs can't help but fail in depicting its size and grandeur. 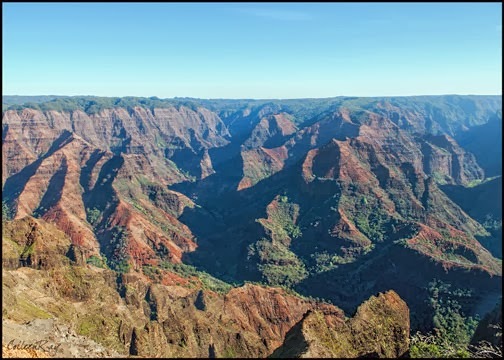 Like Arizona's Grand Canyon the Waimea Canyon was formed by water and erosion. 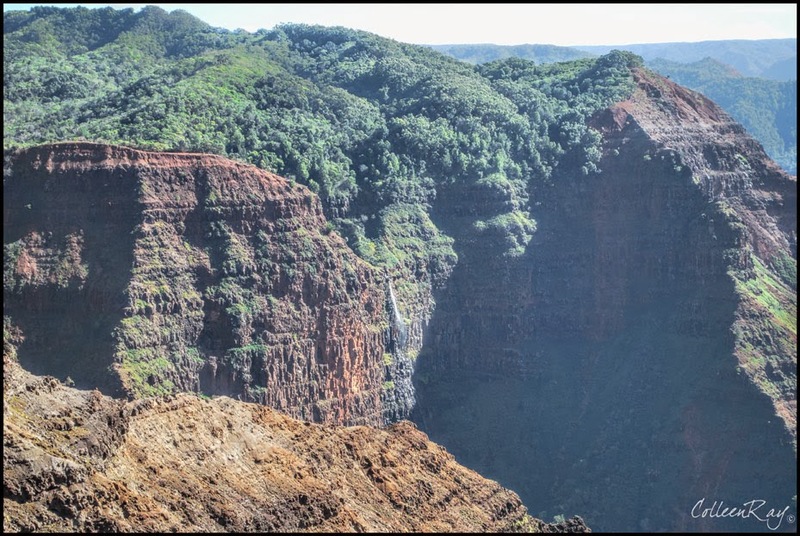 Rainwater flowing from Mount Wai'ale'ale (one of the wettest places on earth at 400" inches of rainfall a year) fed three different rivers that flowed through the canyon eroding the rock. 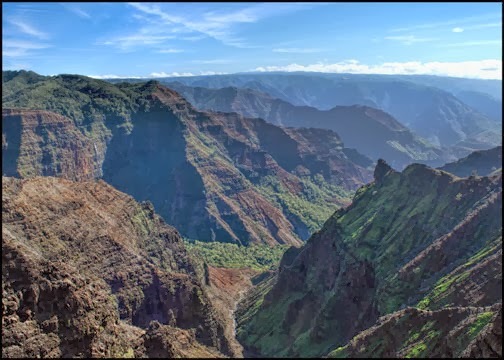 Unlike the Grand Canyon, it began as the top of an ancient volcano arising from the sea that collapsed upon itself and then filled with lava flows. That was five million years ago. Each layer of rock represents a subsequent layer of lava. Today there is only one river continuing to carve and create the canyon. To get to the canyon is an 18 mile drive from the little town of Waimea. 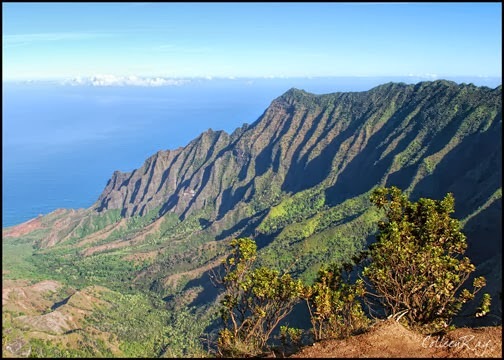 Our advice: go early in the morning before clouds form in the valley obscuring the view and before the large tour buses start up the narrow winding road. 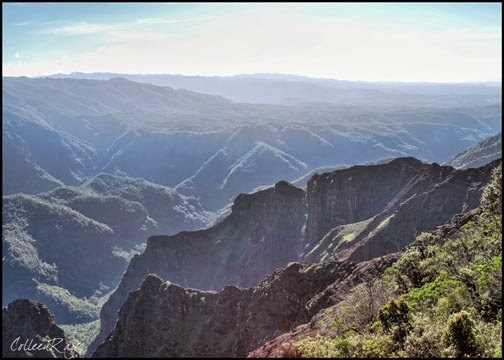 Waimea River cuts through the valley along the canyon floor. Waterfalls have a long, long way to drop. The dramatic results of erosion. 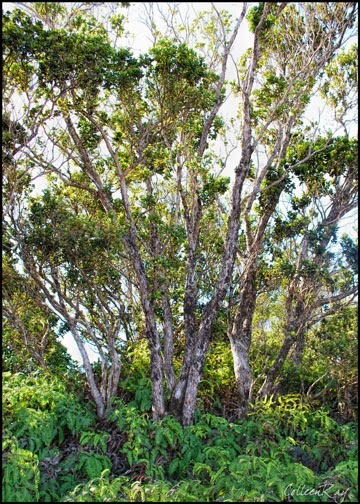 its higher elevation and wetter conditions create a lush landscape. At the end of the road this view is your reward. 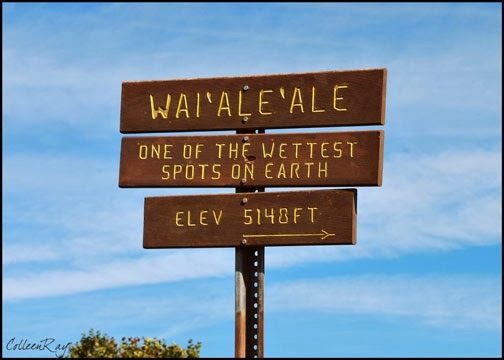 and accessible only by sea or an 11-mile hike.